So, with high hopes and my regular dedication to finding the best of less, I'm heading back to BlogHer 2011 and entering the Shop at Home Save and Splurge Contest! Of course, that means I will be checking in at the Shop at Home Save & Splurge Suite in San Diego. The suite will be a mix of my favorite retailers (and their coolest products) plus socializing with Bloggers and the Shop at Home team in the penthouse suite in the Hard Rock Hotel with gorgeous views of the San Diego and bay. Look for me there on Saturday at BlogHer as I'll be stopping by to sample products, enjoy cocktails and get to know the Shop at Home blogger team. Last year, I went shopping with the Shop at Home team in the garment district in NYC, and really enjoyed it. So here's to more fun in 2011. If you haven't checked out Shop at Home, give it a look. They offer fantastic savings via coupons and discounts at many types of stores, including grocery, big box and fashion retailers plus regular contests. Now back to the Save and Splurge Contest. Shop at Home has asked me to tell y'all about a time when I saved so I could splurge. This is a tough one to pick. Savings and scrimping is really my thing, my basic raison d'etre if you know what I mean. But that is now. There was a time I didn't care about saving on items, fashion or otherwise. It wasn't easy, but over time, I was able to save up to $1,000 per month which I contributed to Max's tuition. That is my best save and splurge ever. There is nothing like the reward of watching my nephew now be able to communicate with me using sign language. Or look me straight in the eye and mouth my name, slowly, but still clearly. Speech is not easy for him, but words are now possible. 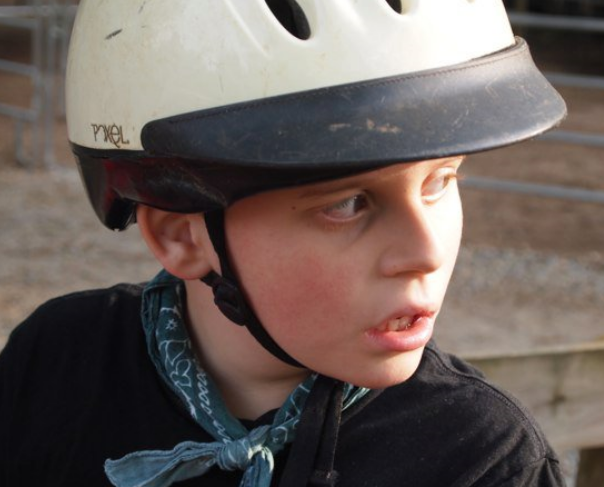 To read more about Max's journey, and the school he attended, check out the Autism Take Flight blog that I authored to help his school's fund raising activities. Do I still have haute couture in my life? Well of course! I recently enjoyed the OutNet anniversary sale and scored a ticket to the special event shopping where I bought an amazing Valentino black cocktail dress for wait for it, only $2.00!! Yes, it's possible to even buy Valentino and be budget savvy. And with the help of Shop at Home, it might even be possible to live like a Blogger Rock Star at the Hard Rock Cafe for a few days. Sometimes things are sweeter, when you save so you can splurge on more worthwhile endeavors, like Max's education.